WARNING: All those weeny souls who cannot stand terror and fear, don't dare to scroll down. Horror movies, novels and games are so thrilling. No matter how much we reason its existence, we admit it or not, we all are chilled to be bone. But, still we ENJOY it. When I chose to write this blogpost, one part of me told me that its an insane idea, but Halloween is meant to be go wild and insane, isn't it? 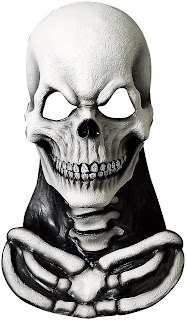 This Halloween PartyBell brings you the scariest and the most repulsive halloween masks. One of the scariest villian ever potrayed on screen, Freddy Krueger is one nightmare-demon. That burnt disfigured face who could kill you in your dreams can still give anyone sleepless nights. Pair it with his signature red and green striped sweater and the terrifying gloves. 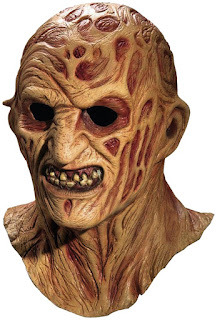 The mask is 100% latex made and an officially licensed Freddy Krueger and A Nighmare on Elm Street product. The Cadaver is one character that has always kept the movie lovers on the edge of their seats. The upcoming Cadaver is again hooking us all to this immortal character. 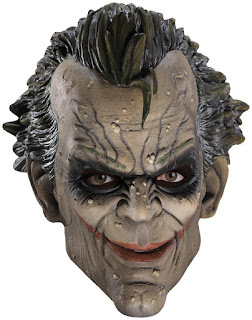 The mask is completely in vinyl and fits an average head sized person. Whenever the word 'Masquerade' falls on your ears, the vibrant, feathered and star studded masks come alive in your mind and the lavish masquerade ball. Everyone is regal and heavenly there but no story is complete without a bad guy. Who could imagine an Evil Masquerade! With no super-powers at his disposal, the super intelligent The Joker has been a true match to Batman incredible prowess. His vibrant appearance has evoked fear on screen and now its your time to do the same. 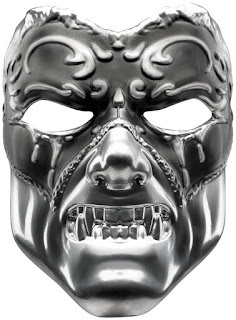 The mask is an officially Batman Arkham City product. 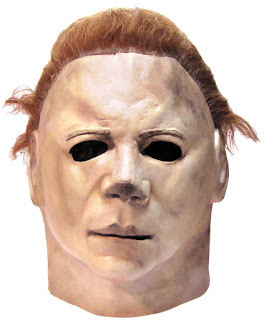 The Shape is hands down one of the favorite Halloween masks since its release in late 1970's. Slay down your friends and enemies with the panic the mask is going to inflict. Induce spine-chillers in everyone around you and choose your snack to relish upon. 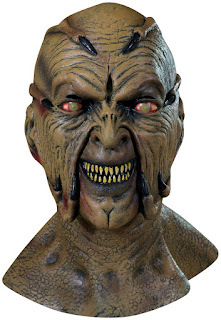 The Jeepers Creepers mask is also an officially licensed Jeepers Creepers product. 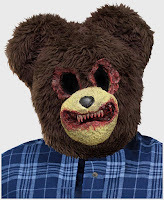 You cannot afford to miss this mask when there's a word of Scream Halloween special two hour episode is going to be telecasted. Team Scream says that the mystery will be put to rest then. Let's keep the terror alive. 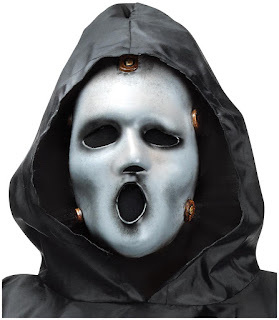 Again an officially licensed MTV Scream product. Let's scare the hell out of them! Dive in PartyBell to find many more to choose.